Ahead of the December 9 Peoples Democratic Party, PDP, national convention, the Chairman of the South-East governors’ forum, Chief David Umahi yesterday said delegates from the Southeast region will take a common position on who to vote for as the national chairman of the party. Umahi made this known while addressing one of the party`s chairmanship aspirants, Mr Raymond Dokpesi who stormed Abakaliki to canvass for votes. He said delegates from the region would meet in Abuja before Saturday to take a common position. The governor, however told Dokpesi that he would inform him the position of the region after the scheduled meeting whether the pendulum swung to his (Dokpesi) side or not, adding that he was not ready to deceive anyone. He said: “We just had a meeting in Umuahia, Abia state, they agreed to give us direction; that we are going to meet in Abuja and take a common position, common position in the sense that in the past, we voted blindly. Now, we will seek negotiation with any one they want us to vote for. “The person will agree what he will do for us. But I want to assure you that whatsoever decision we come up with as a zone, I will let you know. I am not a politician but a child of God. I don’t play politics of deceit”, Umahi stressed. Meanwhile, Dokpesi and his campaign team were received during an enlarged PDP stakeholders meeting held at the state party’s Secretariat located along Abakaliki-Enugu expressway. The chairman further noted that Dokpesi is not only a committed chieftain of PDP but has shown a rare interest in leading the party to greatness, adding that for him, to have toured round the 36 states of the country, plus Federal Capital Territory Abuja clearly showed his readiness to lead the party. 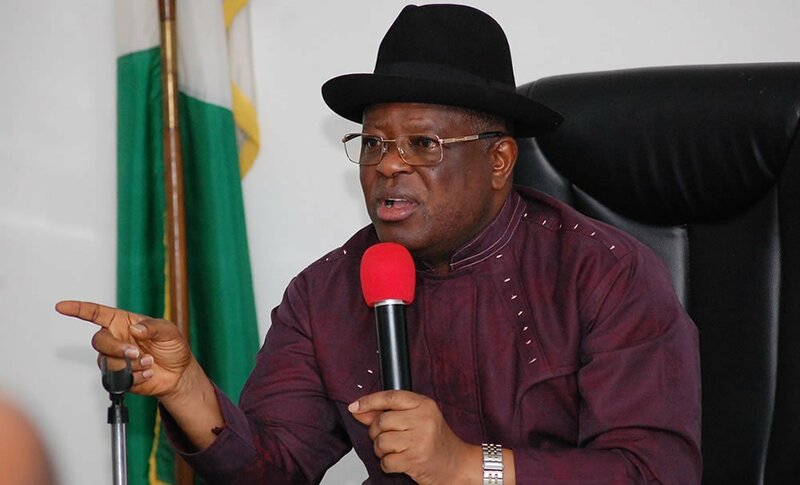 Umahi, however, emphasised that anybody who would gain the votes of the south east zone must be someone who is experienced and committed to the course of the party. Earlier in a remark, Dokpesi said he was in the state to seek their votes as he would be presenting himself for election into the national chairmanship of the party come Saturday’ s PDP convention. Dokpesi, however, appraised the governor of Ebonyi state chief David Umahi for his leadership strides, adding that he deserved a second tenure.